Mars Society – Mars VR Kickstarter project – Be a crowdexplorer! The Mars Society is currently running a Kickstarter campaign to raise funds for a new open-source virtual reality platform called MarsVR, which will be used for serious research to support the goal of sending humans to the Red Planet. As part of MarsVR, the Mars Society intends to build a high-resolution simulation of the entire MDRS habitat, both inside and out. To complete the experience, Mars Society staff will scan a one-square mile capture of the Mars-like terrain around MDRS using the latest photo-grammetry techniques. With your direct support and involvement, the Mars Society can pioneer the use of virtual reality for exploring Mars, as well as expanding Mars advocacy and outreach among our global community. Kickstarter deadline is May 31, 2018. This entry was posted in news on May 20, 2018 by rmms. Astronomers predict next week’s meteor shower will have twice as many meteors as normal. If you find yourself outside during the night next Thursday, don’t forget to look up. 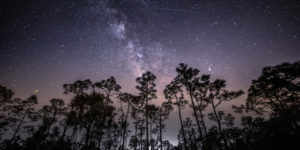 On August 11 and 12, the biggest meteor shower of the year, the Perseids, will be lighting up the night sky, and this year the Perseids promise to be the best shower of the decade. The Perseids typically peak in mid-August every year, when the Earth intersects with the trail of Comet Swift-Tuttle. Debris from the comet impacts the Earth’s atmosphere and streaks across the sky, creating shooting stars. Typically, the Perseids’ peak features about 100 meteors per hour. But this year, we may see twice that many thanks to an “outburst,” which occurs when the Earth runs into leftover debris from past orbits of the comet as well as debris from the current year. The extra material combines to create a truly spectacular meteor shower. This year, the Perseids are expected to contain meteors from comet trails laid down in 1862, 1479, and 1079. This means that some of the meteors that will impact Earth’s atmosphere next week broke off from the Comet Swift-Tuttle nearly a thousand years ago. If you’re planning to watch the Perseids, it’s best to be prepared. The optimal time to see the meteor shower is from late at night on Thursday August 11 to early Friday morning on the 12th, before sunrise. Be sure to get plenty of rest if you’re going to stay up late to watch the show. Pick a spot that’s far away from city lights that brighten the sky. The darker the sky, the better the viewing, so you may have to drive into the countryside. This tool can help you find a dark sky location nearby. Remember to give your eyes at least 20 minutes to adjust to the dark. Most importantly, enjoy yourself and have fun! Meteor showers are always better with people, so bring some friends or loved ones along, and keep your eyes on the sky. This entry was posted in news on August 6, 2016 by Tricia. But scientists use such a range of photographing techniques that the planet can end up a rainbow of colors. 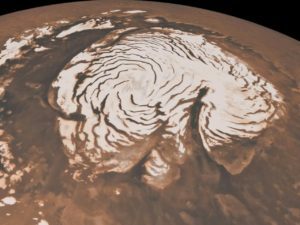 NASA’s Mars Reconnaissance Orbiter started circling the planet in 2006, and since then its camera has been busy capturing gorgeous — and scientifically valuable — images of Mars. We combed through the camera’s latest update to find some of the most beautiful pictures. Scientists haven’t had a chance to dig their teeth into them yet — but when they do, who knows what incredible discoveries they’ll make. Be sure to look up at the sky tomorrow as Mars comes the closest to Earth since November 2005. For more information, visit NASA’s Mars in Our Night Sky page. This entry was posted in news on May 29, 2016 by Katya Muscat.